Want to Step Back into 19th Century San Diego? 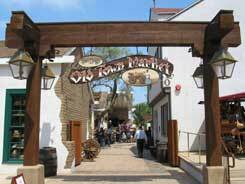 If you’re a visitor of San Diego who’s looking for historic sites, authentic cuisine, fine dining, and unique shopping, Old Town is the place to find it! This town offers the opportunity to step back in time… watch taffy being pulled at Cousin’s Candy, make your own candles at Tody’s Candle Shop, create your own hat at The Johnson House, sample unique gourmet foods at Alvarado Provisions, and much more! If you’re looking for even more historic atmosphere, Fiesta de Reyes offers the experience of journeying through San Diego’s past from 1821 to 1872; enjoy authentic Mexican cuisine, retail stores, and live entertainment. As for gifts or souvenirs, the SOHO Museum Shop offers historic reproductions, gifts, and books from early Californian history like leathers, hat stores, Native American art and crafts. Best of all, Old Town Trolley Tours takes you through it all! Posted in San Diego | Comments Off on Want to Step Back into 19th Century San Diego? Did you know that not only is the Tolomato Cemetery one of Florida’s oldest cemeteries, but that it also is the final resting place of many confederate soldiers? 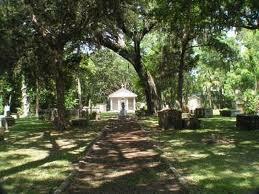 This cemetery offers this unique experience of offering guests a glimpse into the history of the people who lived and died in St. Augustine! Many important religious and political figures have been buried here from Father Pedro Camps, pastor of the Minorcan colonists, to the first Bishop of St. Augustine Augustin Verot! Come and explore the history and lives of past St. Augustinians! The National Zoological Park is a part of the Smithsonian Institution, which is the world’s largest museum and research complex. 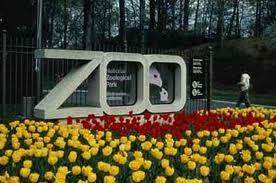 The National Zoo is a 163-acre zoological park within the Rock Creek Park in the heart of DC! It is open to the public 364 days a year and is home to 2,000 individual animals of nearly 400 different species! Go and tour the zoo and see the some of our favorite residents… the giant pandas! Got Your Land and Sea Legs? Departing from Seaport Village, the Star of India at the Maritime Museum, this 90-minute, fully narrated SEAL TOUR winds you through beautiful, historic San Diego streets before splashing into the waters of the San Diego Harbor. Learn about San Diego’s rich military history and cruise through the home of the California Sea Lion. Explore the harbor and experience it’s nautical history and beauty in amphibious vehicles driven by experienced captains! Posted in San Diego | Comments Off on Got Your Land and Sea Legs? Want to visit the childhood home of Mary Flannery O’Connor? The talented author’s home is now a house museum where guests can experience the life Flannery led before she became a renowned author! The original home offers a quaint atmosphere that often features lectures, readings, and other programs complimenting Flannery O’Connor’s most famous works! 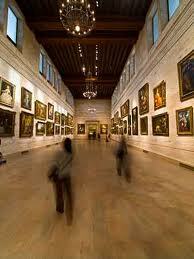 Did you know that Boston’s Museum of Fine Arts contains over 450,000 works of art? It’s the fifth most-visited museum in the United States, making it one of the most comprehensive collections in America! It attracts over one million guests every year and is one of the largest museums in the US. It is also affiliated with the School of the Museum of Fine Arts and has a sister museum in Nagoya, Japan! Cool! 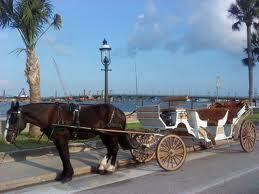 Carriage rides are a true memorable experience while visiting historic St. Augustine. If you enjoy Castillo de San Marco and the inspiration you’ll feel from viewing it, then riding in a horse-drawn carriage is the perfect experience for you! Enjoy the picturesque harbor and the feeling of nostalgia as you step back in time by reliving the history of America’s oldest city. Posted in St. Augustine | Comments Off on Feeling Whimsical? Opened in September of 1997, Key West’s Historic Sculpture Garden features 36 magnificently cast bronze busts of men and women who have had great impact upon the success of Key West! Located on the original shoreline in front of the Waterfront Playhouse, the garden retells the story of the island to over a million visitors every year! 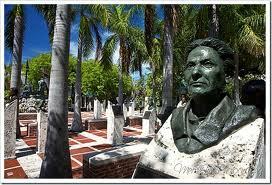 Posted in Key West | Comments Off on The Sculpture Garden! The Place Thats Got it ALL! The Beacon Hill is a historic neighborhood of Boston that neighbors Back Bay and is home to around 26,000 people! It is regarded as one of the most desirable and expensive neighborhoods in Boston today. It also encompasses the beginning of the Freedom Trail, the Black Heritage Trail, the Otis House Museum, King’s Chapel, the Historic Burying Grounds, Park Street Church, and the Downtown Crossing! Come and engage in all the activities the Boston Common has to offer. Posted in Boston | Comments Off on The Place Thats Got it ALL! A True Taste of Savannah! 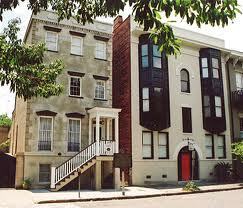 One of the most legendary spots in Savannah is Mrs. Wilkes Boarding House, an old brick building that dates back to 1870! Although Mrs. Wilkes passed away in 2003, her legacy of hometown cooking and southern hospitality continues on! Every Sunday morning, tourists and locals alike line up before the restaurant even opens for delicious family-style meals. 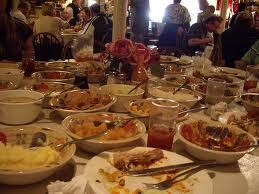 Enjoy traditional home fried chicken, gumbos, creamed corn, red rice, biscuits, and many more southern favorites! Posted in Savannah | Comments Off on A True Taste of Savannah! You are currently browsing the Old Town Trolley Tours Blog blog archives for March, 2013.